This is so fun and so easy, but so versatile – You can use these to decorate your Christmas gifts or add a magnet to the back to hold papers on the fridge and the best thing to use these for is to hold chips or other food packages closed. These would make great gifts along with the some of these dish cloths in a coordinating fabric. 1. 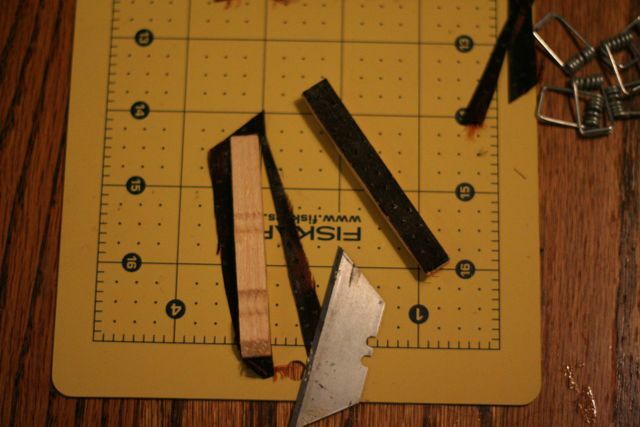 Take apart your clothespins. 2. 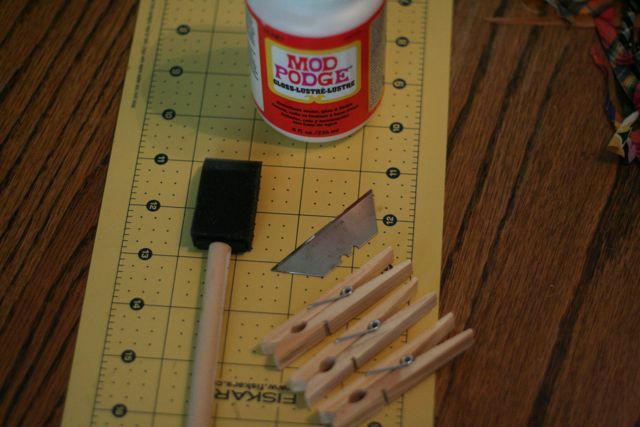 Take your Mod Podge and cover your clothespins, lay a piece of fabric over the clothespin and cover again with Mod Podge. 3. 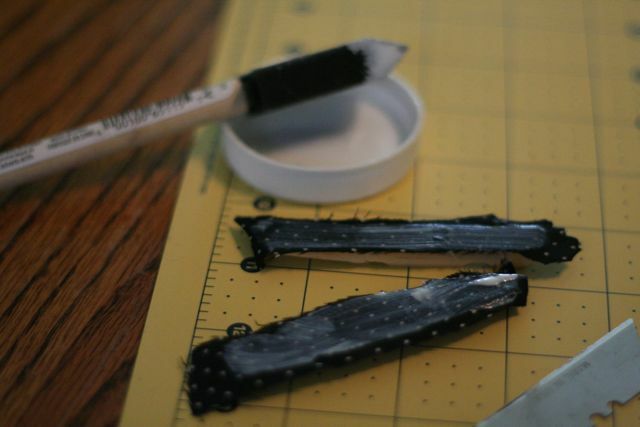 When its completely dry and hard, use your razor blade to cut off the excess. 4. Put your clothes pins back together and package. Or put a small flower on top for a gift tag. 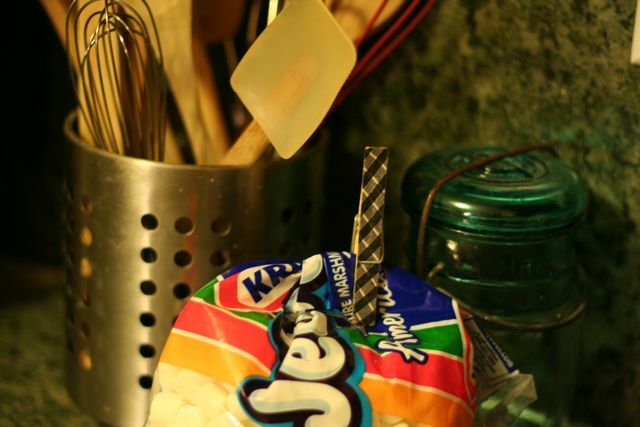 Or attach to a marshmallow bag to keep it closed. 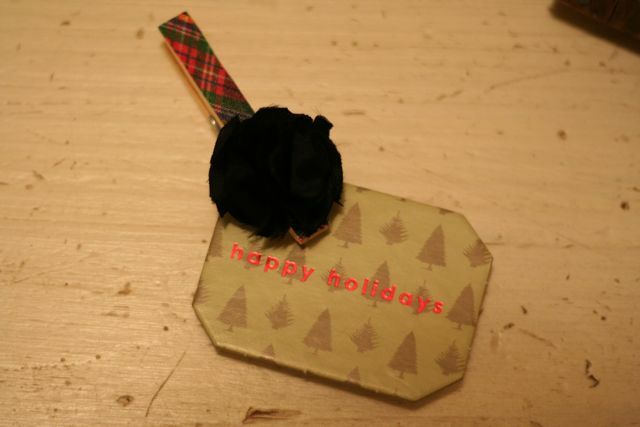 This entry was posted in Check this out!, Christmas, DIY, Holiday, tutorial on November 9, 2010 by Deanna. Great idea. 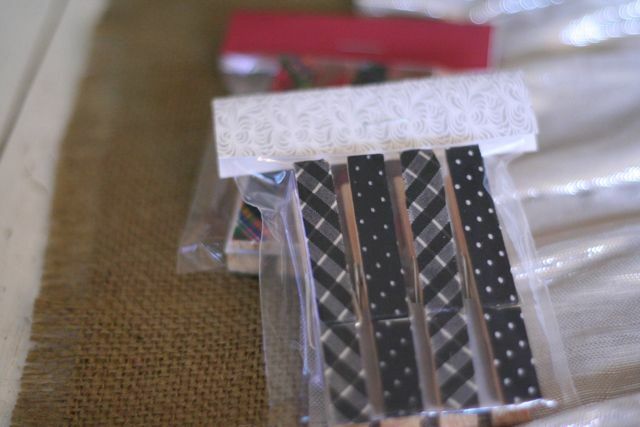 Prettier than the plastic chip clips. I think painting them would also work. gorgeous – I’m wanting to do mini ones for christmas! 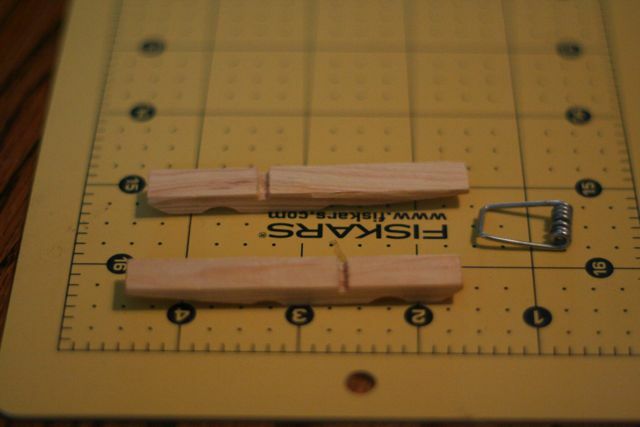 Hey, we have used clothes pins as chip clips for years, but they’ve never gotten past the ugly stage. This is a totally cute idea, and this is a perfect gift that I could make for my mom since the rule this Christmas is Handmade Or Bust (because: hospital bill + no sick pay = I’m broker than broke) …plus she already has everything she needs. Pam, I love to hear that your having a Handmade or Bust Christmas! I will have more DIY ideas in the next two weeks, check back.